What exactly does the word ‘exercise’ mean to you? I present this question since I feel that there is a disparity between what we think and what the evidence points to as the basics of exercise. This is important to me and one of the reasons I got into physical therapy. I realized quite early on that my goal in life was to get people motivated to be as healthy and energetic as they possibly can be in order to stay healthy and ward off preventable illnesses. Over my 17 year career here at Emery Physical Therapy, I discovered that people have trouble finding “time” to exercise and that it is difficult to fit it into their work and home activities. Sound familiar? -Start being “afraid” of elevators and escalators; just make use of the stairs. -Park in spots that are actually further away from your destination: you’re guaranteed to get a spot! -Save some money and do your yard mowing and landscaping. -Be creative with your house cleaning and yard work just by changing how you move: it make take a little longer but you can kill two birds with one stone by getting some exercise. -Hold yourself in a squat position while weeding or shoveling the snow; it will certainly improve your leg strength and core stability. -Add little bouts of exercise during commercials. It can be just 10-20 sit-to-stands right there at the couch. If you need to let out the dog prior to going to bed or work, perhaps take them for a quick walk; it’s incredible how a little exercise can get both of you feeling better! Lunge down long hallways to work those quads and glutes. While awaiting the bus try doing some heel raises or wall-sits. You get the idea. Everythingcan be an effective exericse if you decide to make it so. Learn more about how to safely stay active and prevent injuries by clicking HERE. 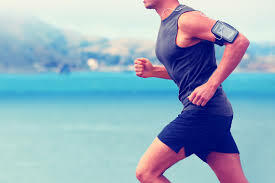 Emery Physical Therapy specializes in exercise prescription to help you avoid injuries and recover from injuries. We have provided our services for over 17 years in Mt Prospect and the surrounding communities.